The sun was shining brightly as the Collis cricket teams set off for NPL for a cricket tournament on 20th May. The teams were made up of a mixture of Years 5 & 6. Some Teddington School students were assisting the coaches at the side of the pitch, and score-keeping. Everywhere you looked you could see bright orange balls flying around, and kids sprinting up and down the pitch in their sports kits. There were three main buildings: the clubhouse, the changing and toilet rooms, and a pavilion for changing boots or getting out equipment. I talked to Mr Loizos, the Collis coach, and some of the players. 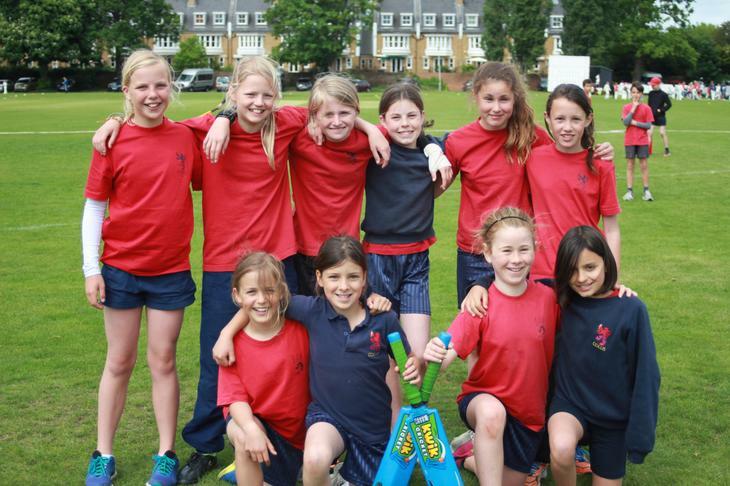 Mr Loizos said that the girls bowled very well “but they need to back it up with some good batting”. Ryan S, playing for the boys’ team, commented “I think we are playing well; we should be in the top two or three (or maybe even first! )”.